Huynh Duong Phuong has developed s4u Stair. 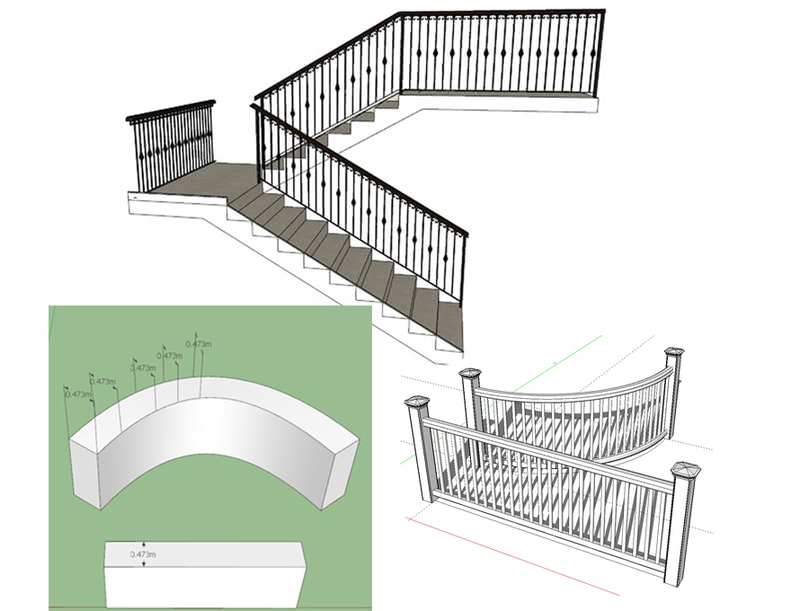 It is a newest sketchup extension that is used to create stair, ramp from faces. The plugin is compatible with SketchUp 2016, SketchUp 2017, SketchUp 2018, SketchUp 2019. Explode all curve, make curve for start step and end step. 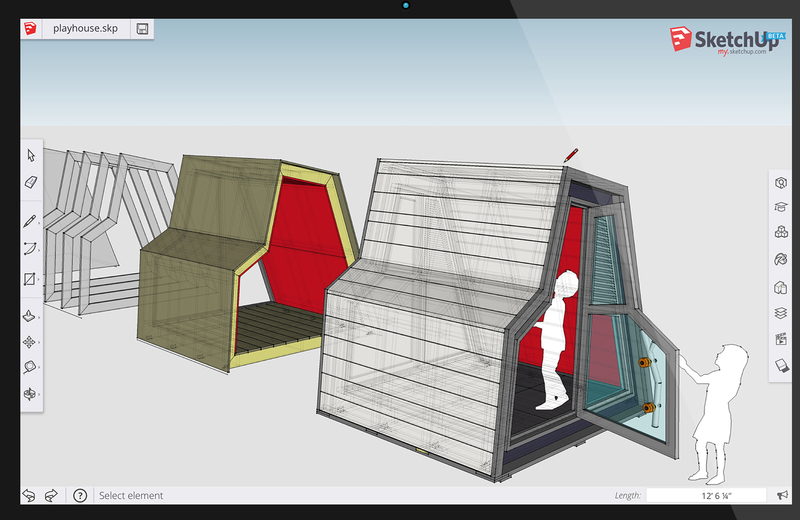 This sketchup plugin is available in extension warehouse. For online demonstration of the plugin, go through the following video tutorial. The most updated version of ConDoc plugin i.e. ConDoc Tools 4.5 will be launched soon. It is compatible with sketchup 2019. SketchUp now contains dashed line types to substitute the old raster style, for crisp vector dashes. In 2019 version drawing sets involve the updated demolition plans, foundation plan, roof plan, and elevations. These drawings are fully updated to make use of the new dashed line feature. It is now possible to quickly and precisely arrange any model with level, element, location and condition. You need to just put the model organization guide into your project, click into the exact container, and start modeling. In this latest version, a level layer toggle is included to detach each floor of your design with a single mouse click. It will save huge time by getting away the Layers dialog. The conversion from 2d sketch to a precise 3d model becomes more rapid in this new version. There is a new annotations scrapbook with 2d blocks for scaled walls, doors, windows, furniture, and fixtures. Just put the pieces into exact position to build up your design. As soon as your design is prepared for further examination and fine-tuning in 3d, apply the brand new CAD export settings in LayOut to deliver your 2d drawings to SketchUp. ConDoc 4.5 comprises of a totally reinvented annotations scrapbook. There will be numerous new and enhanced palettes, symbols, and schedules. Rafael Rivera has developed the most updated version CompoTools CompoScene i.e. version 2.0.6 for sketchup users. It is useful sketchup extension compatible with SketchUp 2017, SketchUp 2018, SketchUp 2019. The purpose of this sketchup plugin is to generate and export sketchup scenes with rendering channels for composing in photoshop or other leading painting app. This sketchup is very useful for comic book artists and manga artists to create stunning 3D backgrounds in their panels. The artists can create a mock-up of the scene to be produced with various camera angles for several panels. CompoScene produces rendering channels for the users to build upon and develop your own art style. To watch online demonstration of the plugin, go through the following video tutorial. In this sketchup tutorial video, the demonstration is given for sketchup slicer plugin. Slicer plugin is developed by TIG. With the Slicer Plugin for Sketchup, it is possible to cut your model into pieces. Just choose any solid object and slice it up into pieces. If any hole exists in your model, the plugin will not work. The plugin is very effective for repairing your model. For application, just select a group of geometry and choose the axes to be sliced along together with the spacing and thickness of your slices. Slicer facilitates the users to slice a model along the X,Y, and Z axes, together with custom axes. Export those slices to like a CNC router to develop these models in real life. Besides, slicing your model, but if the flatten object is chosen, slicer will actually set all the different pieces it produces as components. These pieces can be exported to a CNC router if it is required to generate your objects in real life. The extension can be downloaded from sketchUcation store. SketchUp is famous for its 3D printing models and objects but the method of creating design moving parts in SketchUp for 3D printing is a matter of practice. A Captive Joint is basically a movable connection that comes out from the previously assembled and working 3D printer. Captive joints are mechanically simple links, ball joints and chain links but they are very powerful. A 3D printer can quickly made objects with hundreds of captive joints that may take a lot of time to build by hand. As there are many poseable action figures, clothing and chainmail which are the examples of simple captive joints assembled into complex structures. Components should be used to build structures with captive joints as they let the users to modify all the joints automatically. Designing on captive joints depend on using of the specific 3D printing technology; SLS-based 3D printers can build captive joints with millimeters across while FDM printers make strong joints. As a structure is only as strong as its weakest part so a joint should be made a little mixture of fine and hard structure. 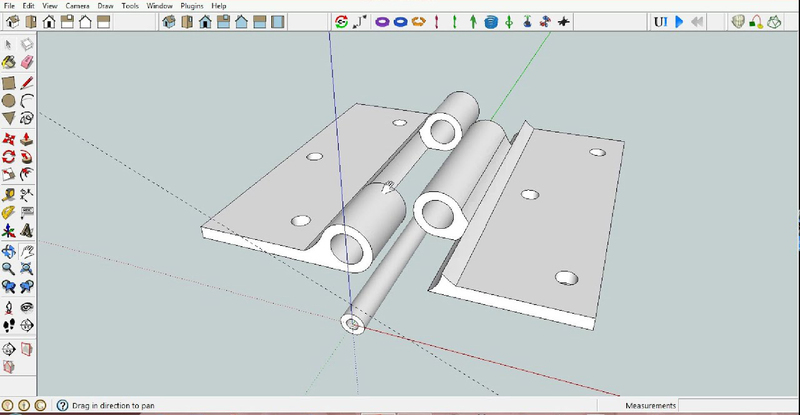 SketchUp pins are small, round cinch fittings that are pressed into the right place to create a connection and they can be a flexible replacement for hardware. As pins like bolts come in exact size and shape as per the need of users and they can also print more while running out. 5. While designing the pins, users need to make them one flat side as it will give them a way to build the pins without using support material but keep the tongues horizontal to create platform. 6. Making pins into components let them modify easily at once it is needed to do. 7. Designing a project with pin joints, create an effort to standardize around a small number of pin sizes as it will keep things clean and simplifies assembly. 8. Loose to Groups: This helps to gain the geometry by ungrouping it and organizing it in something useful. The latest version of Shaderlight Pro is compatible with Sketchup 2019, macOS Mojave dark mode, a new 4K UHD output resolution preset and more. Shaderlight is an interactive rendering software plug-in to SketchUp that facilitates the users to generate superior quality images, easily and quickly. With this new version, the users can efficiently keep control render their SketchUp models, along with the capability to animate your SketchUp scenes and render to the cloud. Shaderlight 2019 comprises of an extensive range of workflow improvements together with the capacity to render transparent materials in chalk renders. Transparent objects will now be transparent in chalk renders. • Shaderlight’s render settings are saved separately for every SketchUp scene. • Shaderlight render window now provides support to macOS Mojave’s dark mode. • Shaderlight resisits a computer from going into sleep mode at the time of rendering. • Shaderlight will now suspend App Nap for the plug-in even as a render is on the go on macOS. • A 4K UHD output resolution preset in included. • Shaderlight warns while applying the ‘Quit Shaderlight’ menu option on macOS at the time of rendering. Note: The customers who brought Shaderlight on or after November 21st 2018 can upgrade to Shaderlight 2019 at free of cost. Contact sales@toolfarm.com. 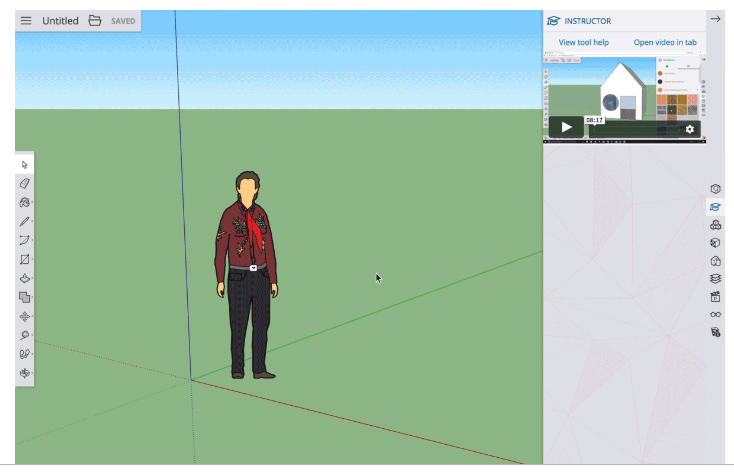 SketchUp team has been focusing on making their website and tools easier to use for their users, the also started a page called SketchUp Talk where people will find relative matters. SketchUp or Google SketchUp is mainly a 3D modeling computer program that is used for a broad range of drawing applications used by architects, interior designer, landscape architects, civil and mechanical engineers, film and video game designers also. SketchUp can be getting as a freeware version named SketchUp Make and a paid version with many more extra benefits called SketchUp Pro. SketchUp is software from Trimble Company and there is an online library of free model congregations and 3D Warehouse to which users can add other models; besides that, the program has drawing layout functionality with variable ‘styles’, supports third-party ‘plug-in’ programs hosted on the Extension Warehouse to supply other abilities and enables placement of its models in Google Earth. It is a platform for the people who want to keep updated with SketchUp knowledge themselves while they are not working with their computers; this platform offers them the recent talk about different objects. Every SketchUp professional uses this platform to publish their wordings, thinking and new updates about different tools in SketchUp. This time Matt Donley has taken part in the SketchUp Talk about the methods which help him to become a master in SKetchUp. Matt Donley is one of the brains who are behind SketchUp.com; this is an online training resource for SketchUp users around the World. Besides being a SketchUp professional, he is a carpenter and visual artist who was drawn to SketchUp for its easy handling capability, use and the endless ways it can be applied to many projects.